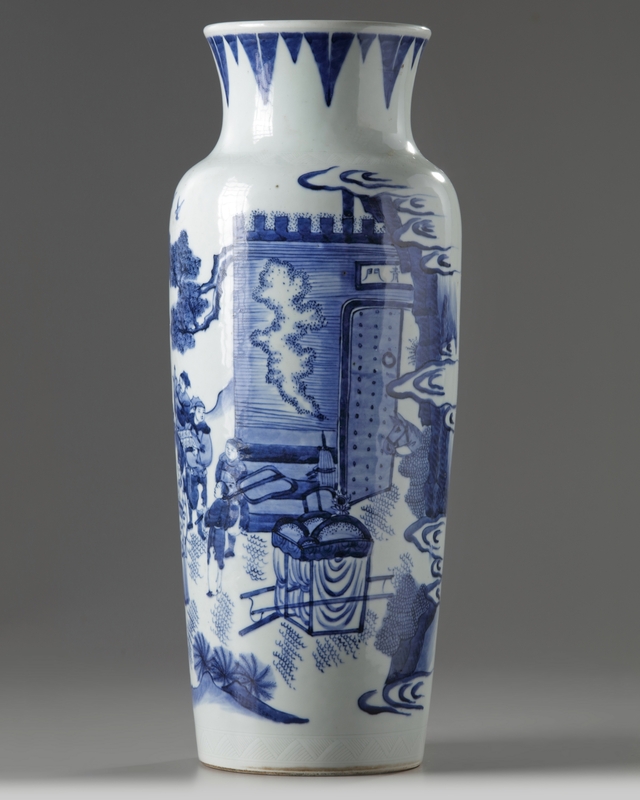 The vase is decorated with a scholar and officials holding offerings in front of a city wall labelled 'Qing Men', paying reverence to two Immortals standing on clouds. 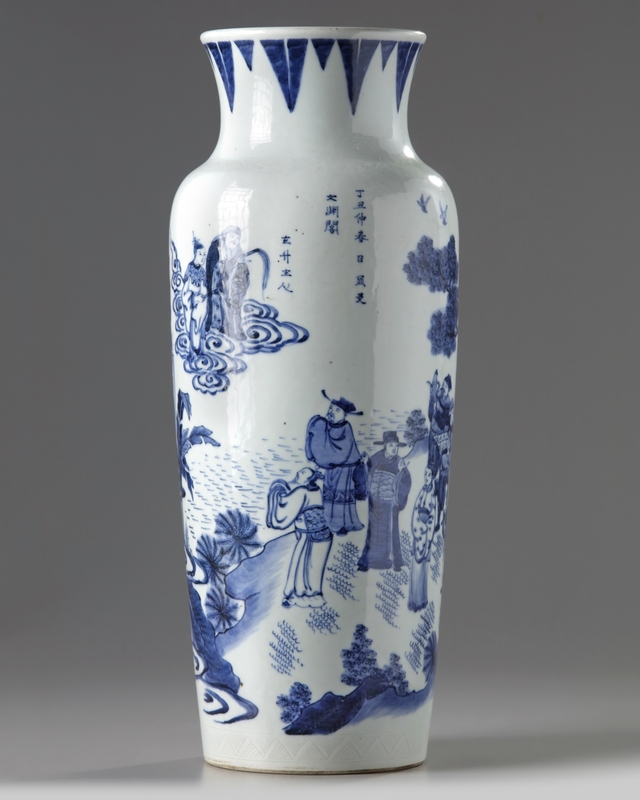 The scene is inscribed Wenyuan Ge (Wenyuan Library) and dated dingchou year. 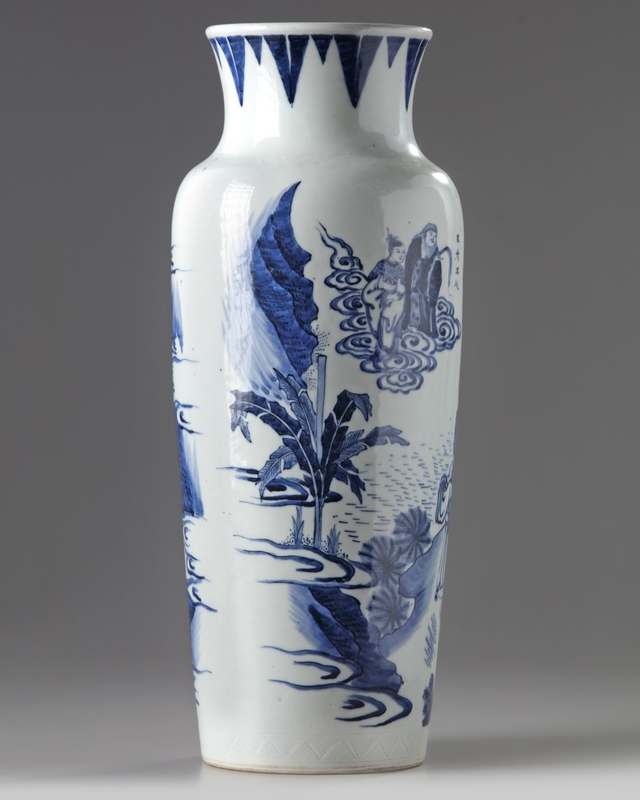 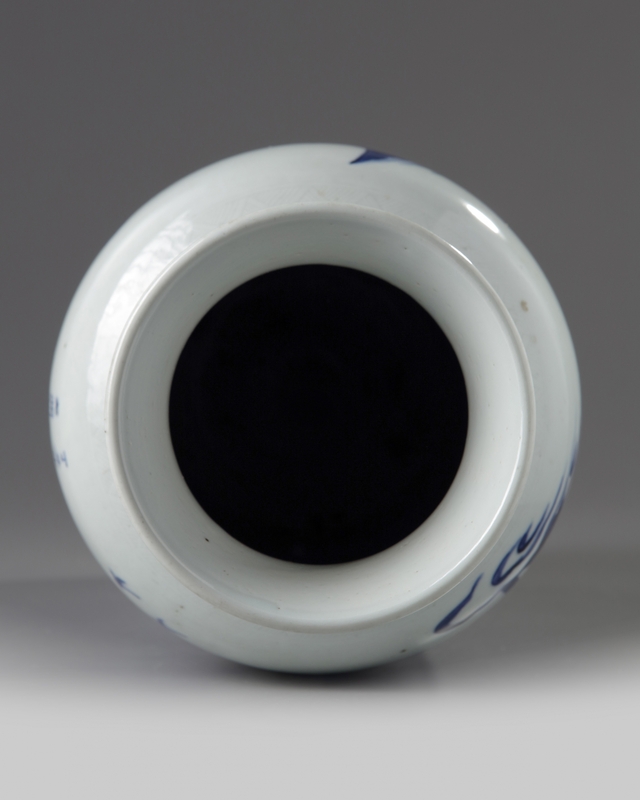 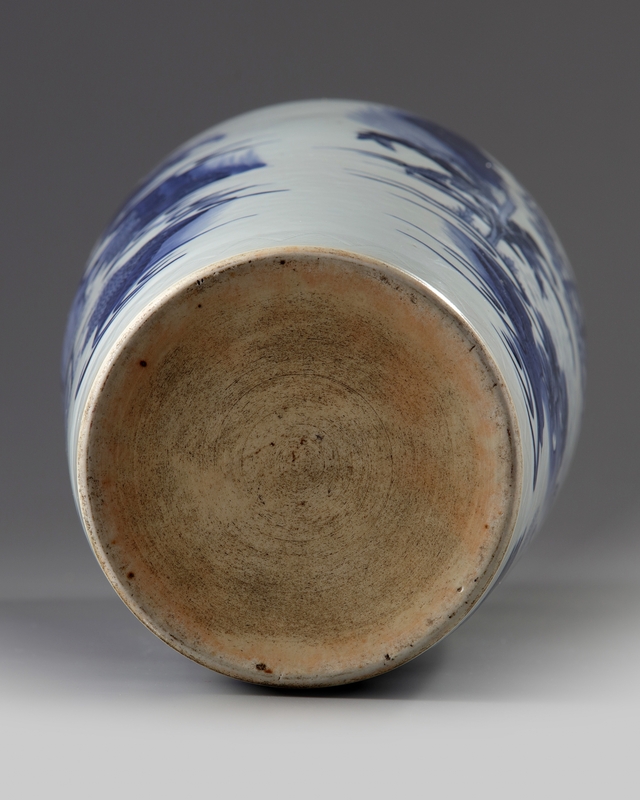 The shoulder is decorated with an anhua band, and the neck with stiff leaves in underglaze blue.